Acid reflux — formally known as gastroesophageal reflux disease/ GERD — is suffered by many people. Knowing that, it is regrettable that I do not see Virginia police asking DUI suspects whether they have GERD, in order to have the GERD sufferer offered the option of a blood test rather than a breath test to check for blood alcohol content (“BAC“). With GERD, the hiatal hernia can stay open, thus constantly leaving stomach contents to come enter mouth. Such a situation runs counter to the Virginia Department of Forensic Science’s (“DFS”) directive for alcohol breath testing personnel to take steps to minimize the presence of alcohol in the DWI suspect’s mouth, in that the presence of alcohol in the test subject’s mouth can cause an unreliably high false breathalyzer reading. Virginia law fails to provide DUI arrestees the option to do a blood test rather than a breath test for BAC. Consequently, a legion of Virginia DWI defendants get wrongfully prosecuted for breathalyzer testing refusal when physically unable to blow into the breathalyzer machine. Also, at least one or two police officers have admitted to me to warning of a possible refusal charge if the suspect burps again, often intimidating burping DUI arrestees not to admit they burped). Finally, a blood test is called for in the situation of suspects with acid reflux, and suspects who cannot stop experiencing burping or vomit burps. Acid reflux/ GERD sufferers should tell their DUI lawyers that they have this ailment, and it is a good idea for lawyers to ask the same of their DWI clients. 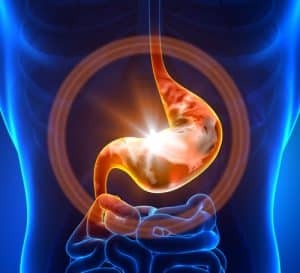 When my DUI client tells me s/he has or might have acid reflux, I inform my client of the option to present the trial testimony of a privately retained forensic toxicologist along with their gastroenterologist or other physician who has diagnosed the GERD after first undergoing an endoscopy examination for GERD. I also inform my GERD-suffering clients of the additional option to undergo a gastric emptying process to show the extent to which any alcohol stomach contents could still have been present to enter their oral cavity at the time of being breath tested. I also talk with my acid reflux-suffering DUI clients about Va. Code § 8.01-390.3(B), which is a mechanism for offering their GERD diagnosis into evidence without the testimony of their physician. However, evidence law makes reliance on Section 8.01-390.3(B) a dicey proposition. All of this underlines the insufficient reliability of breath testing for BAC in DUI prosecutions. Virginia DUI attorney Jonathan L. Katz has successfully defended hundreds of people charged with DWI, and has taken well over one hundred such cases to trial. To discuss your criminal or DUI case with Jon Katz, please schedule a confidential consultation through his staff at 703-383-1100.